After getting the approval for organizing this event on My school i was very much excited and started planning for the events agenda and discussed a lot and made few slides to be discussed during event. (Event was supposed to be on 24th but due to holidays we have adjusted the date to 22nd Oct). On the event day we reached school @ 8:30 a.m and started our preparation and i’m very thankful to St. Clare’s staff who helped us to set up the hall. 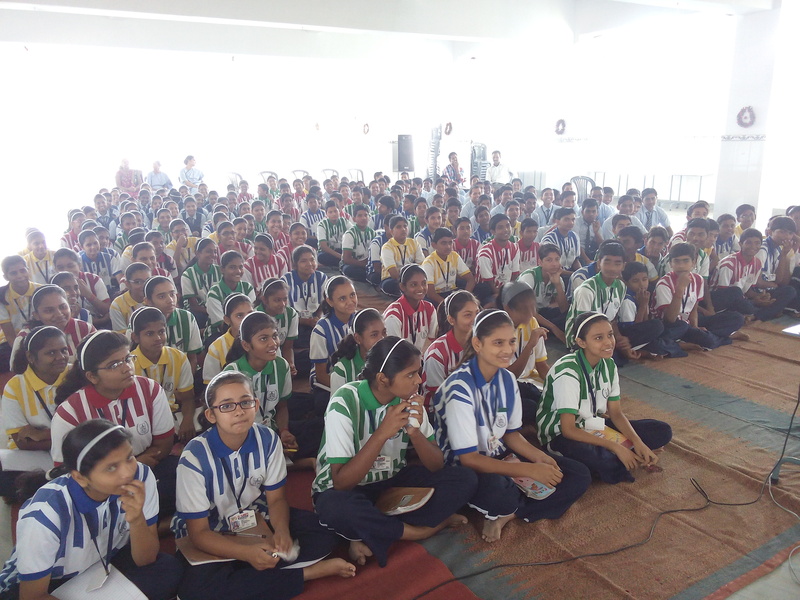 @9:15 students arrived and sat silently in the hall waiting for us to start the event.I was expecting around 100 attendees but they came in large numbers.They were 250+ in number.Event started with the introduction. 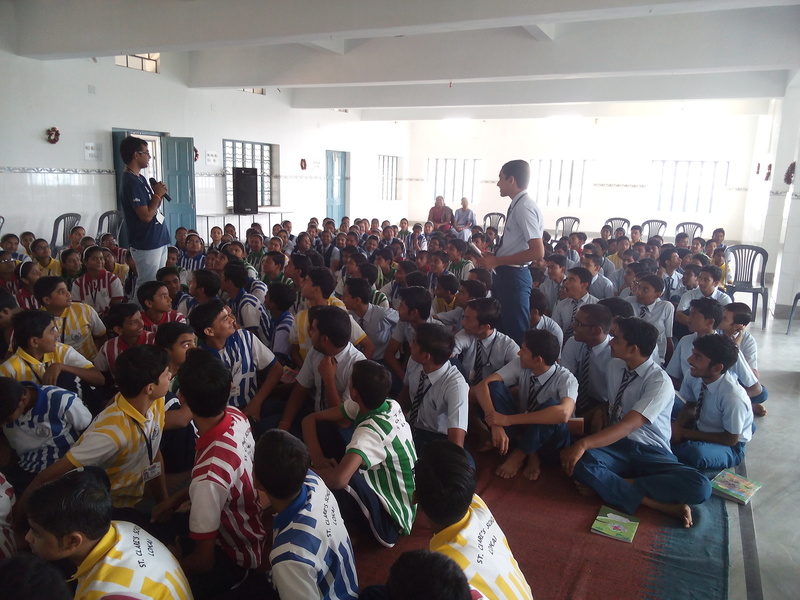 Talha and i told them about us and had a great interacting session where we get to know more about our school. We started with telling and asking them about the Programming languages and explained the difference between INTERNET and WEB ? 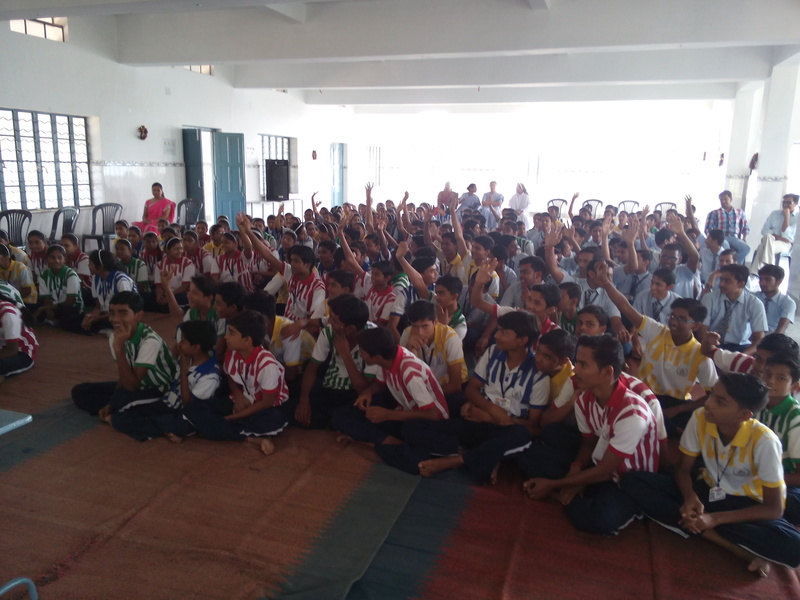 also taught them about Web Languages. We showed them a video ” We’re building a better Internet — Mozilla “. Explained them who we are and why we’re doing this. 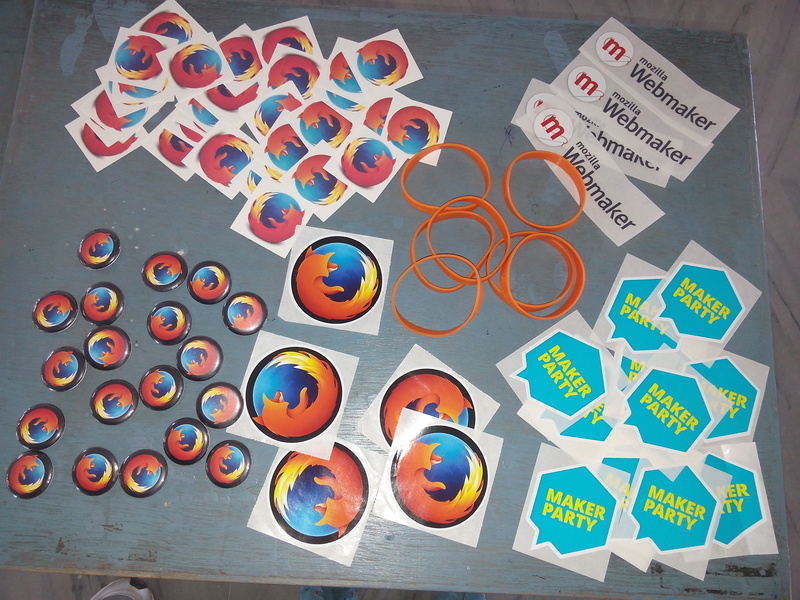 and what’s the benefit of protecting the Web.Also explained the Mozilla Mission. Whats its advantages and why one should use. After this we told them about the Open Source Software. Its advantages and explained about the source code. In between this I asked them if they know about Firefox OS phone.. And i was not expecting this answer but one said yes and said the exact price of it(Thanks to Snapdeal). 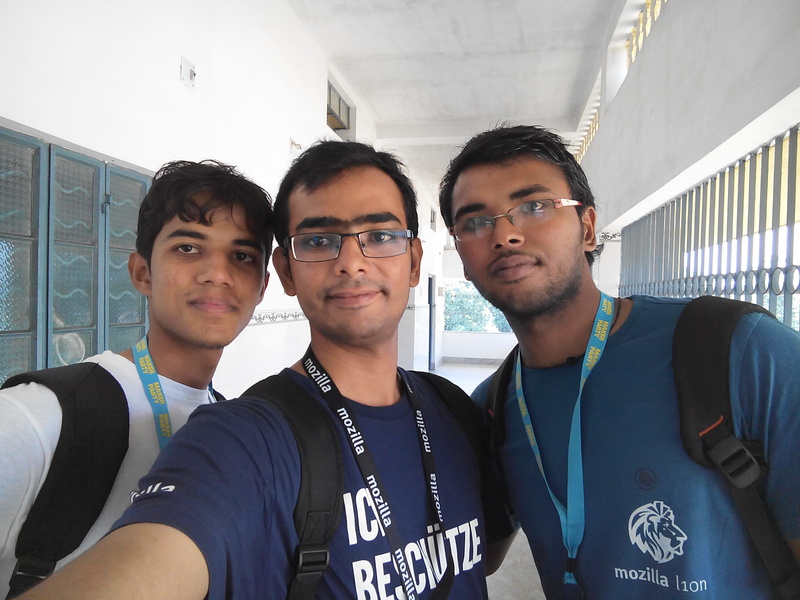 Also showed them Intex’s Firefox OS phone which Talha recently got from Mozilla. Asked few more question about OS.. Also explained the difference between open source OS like Firefox OS,Linux and Android(Somewhat open) and closed source like Windows. 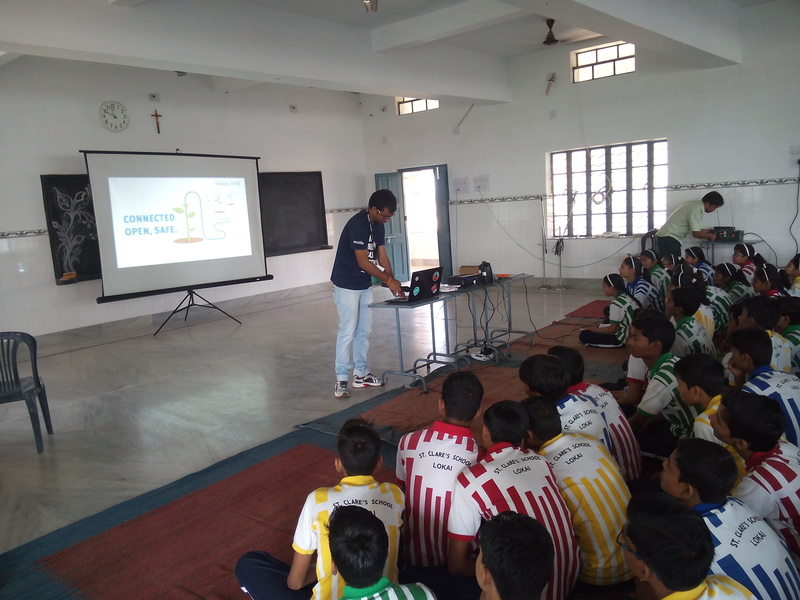 This event was supposed to be a Webmaker one but due to no internet connectivity and laptop or Computer lab (for these many students) we started to teach them about App development basics. 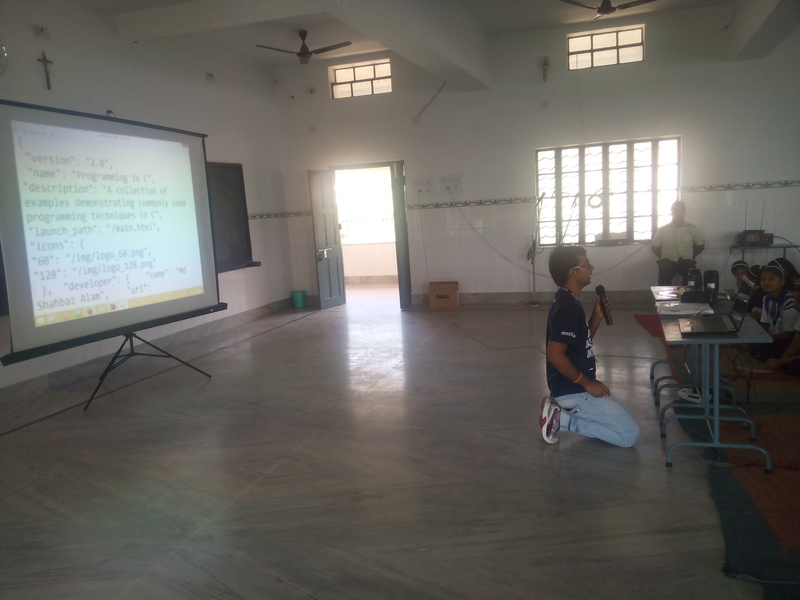 I have showed them My App which i made recently “Programming in C” also showed Trishul Bhaiya’s App “M4Maths”. As during QA round i get to know that these students know little HTML. So started the App-Development Basics. Students were eagerly noting down the steps also explained the webapp file… And told them what a JSON file and how its format looks. As we were running out of time So we started asking more questions and get good responses from the audience..
We thanked the audience and school and told them that we’ll visit soon with the bigger event next time. 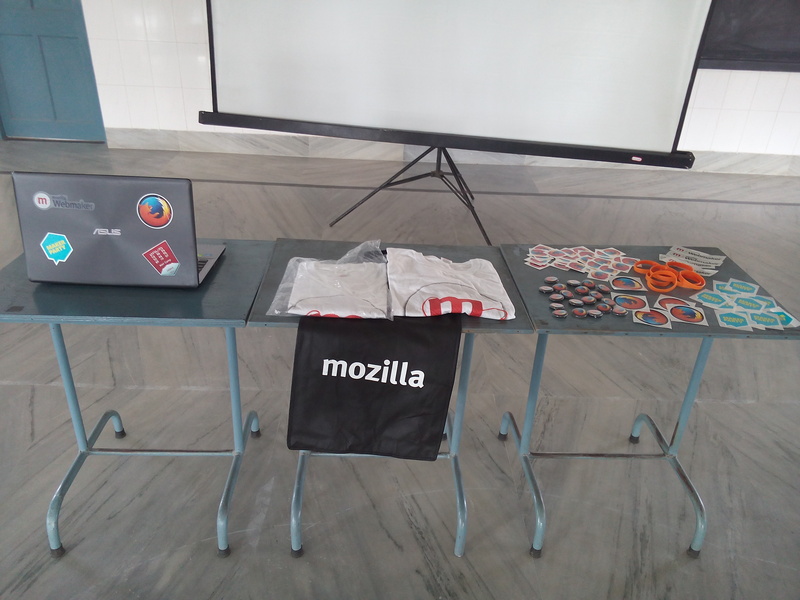 As a feedback we asked them to write an essay on “Open Source and Mozilla” and best essay will get a t-shirt , collected their e-mail id’s and asked them to follow us on Facebook and gave our whats app number. They loved the event and wanted us to visit the school again so that they can learn more and built their own apps. Wanted to see the full pictures of the event..